Doug Yegge is the Broker at Peoples Company located in DeWitt, Iowa. For almost four decades, Doug has sold farmland throughout the Midwest. These years of experience have given him an unusual depth of knowledge in real estate matters. Doug enjoys “the feeling of accomplishment when a real estate transaction is completed and both parties — seller and buyer — are satisfied.” He specializes in land sales and 1031 Tax Free Exchanges and is licensed in the states of Iowa, Illinois, Minnesota, Arkansas, Mississippi and Missouri. Offering an excellent 235 acre tract located south of Winston, Missouri. 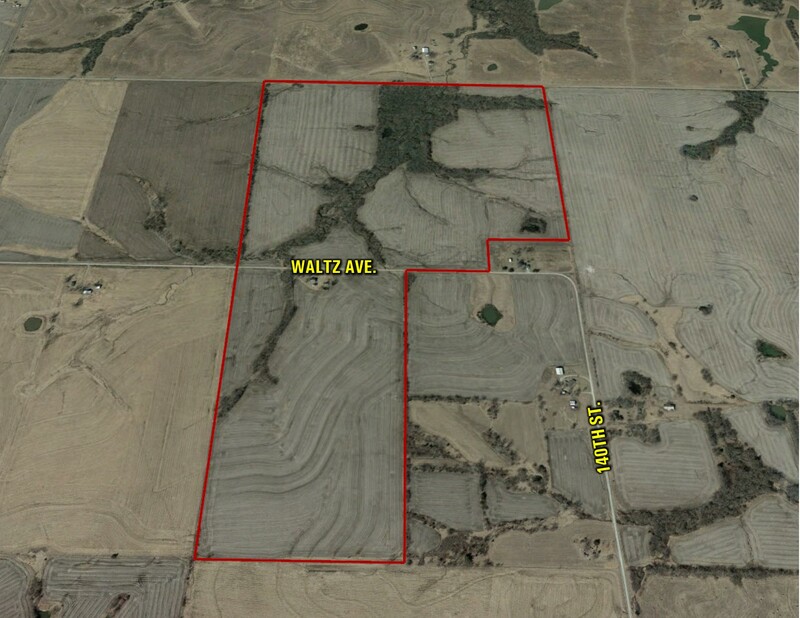 This farm includes 192 crop acres with the remaining acres in timbered draws. This farm carries high quality soils including Grundy and Zook silt loams. Parcel is ideal for a group of hunters looking for an investment with an ideal return. Property is located in Southwest Daviess County, south of Winston, Missouri. Property can be split. The Southeast 1/4, excluding the acreage in the southeast corner of Section 22, and the West 1/2 Northeast 1/4, Section 27, in Township 58 North, Range 29 West, Daviess Co., MO. From Winston Missouri, head south approximately 3.5 miles on County Road BB, turn east onto Waltz Avenue and travel a half mile, property is on north and south sides of road. 1 older machine shed located on the South 80 acres.